The KTFC Tiger Jumper as worn in the Tasmanian Statewide League represents what our club is about and where we have come from. It is the jumper of a proud historic club which was formed over a century ago (back in 1886). Since the club began it has had various strips, but none more striking as now. 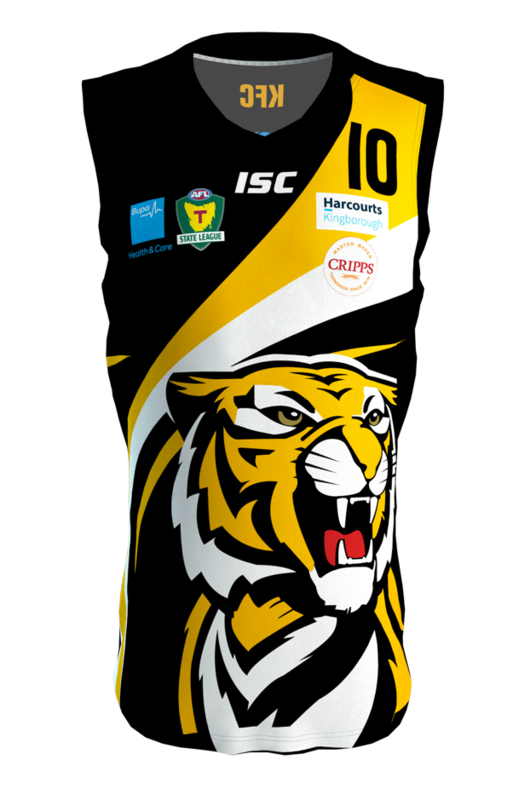 It is the only jumper worn by players of two teams representing our club at the highest level in Tasmania and took place in history when first officially worn on April 12th 2014. 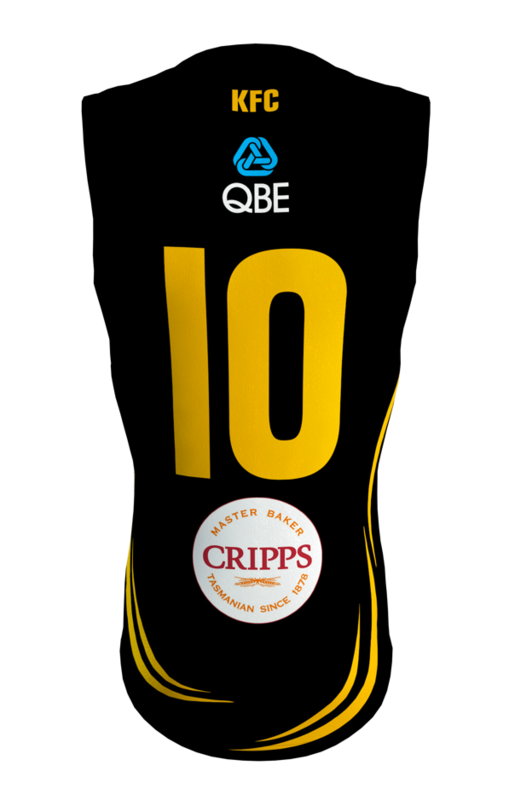 Players who wear it represent all areas south of Hobart, the Southernmost AFL club in Australia from which players can be directly recruited to AFL clubs across Australia. It is to be respected by those wearing it and those who play against it. It is seen as a privilege to wear it and is to be treated with the UTMOST RESPECT. Players cannot expect opposing teams to respect our jumper if that respect is not shown by the player wearing it, so treat it like gold! Hand it back to property officer when you take it off and NEVER leave it on the floor. In the years ahead it will carry the blood of those who wear it (as well as some who don’t!). It will carry the sweat of hard-working players who strive to honour it. It will carry the tears of those who were disappointed that they did not achieve their ambitions. Our Tiger jumper will sometimes be covered in mud. On a few “special occasions” it will be covered in glory and hold up a Premiership cup. It will always remain proud whether in victory or defeat. Your Tiger jumper will become your best mate, something that young guys will dream of wearing someday. It will be a jumper that sometime in our future an AFL player will look back and say “thanks for being part of my past – that’s where I came from”. The “character” of those who wear it will be judged by people across the state.